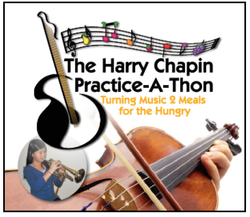 It's time to plan for the March, 2019 Practice-a-thon! The packets for New York State are ready for you to download now. 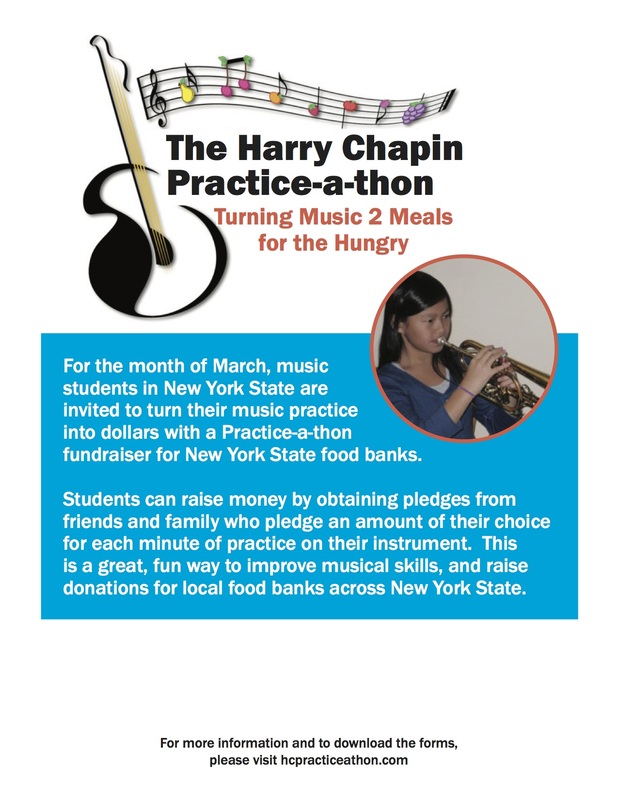 During the month of March, musicians across New York State are invited to take part in a Practice-a-Thon with all proceeds going to local food banks. 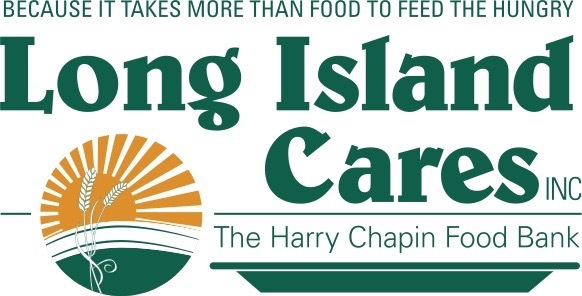 Last year, The Harry Chapin Practice-A-Thon raised $30,000 for food banks in New York State and this year, with more involvement all across NY, we hope to raise much more. The Practice-a-thon is a wonderful way to strengthen students’ practice habits while encouraging empathy and teaching students that their actions can make a difference. Heartfelt thanks to all who participated in the 2018 Practice-a-thon! We are grateful to everyone who practiced, collected money and helped our neighbors in need. 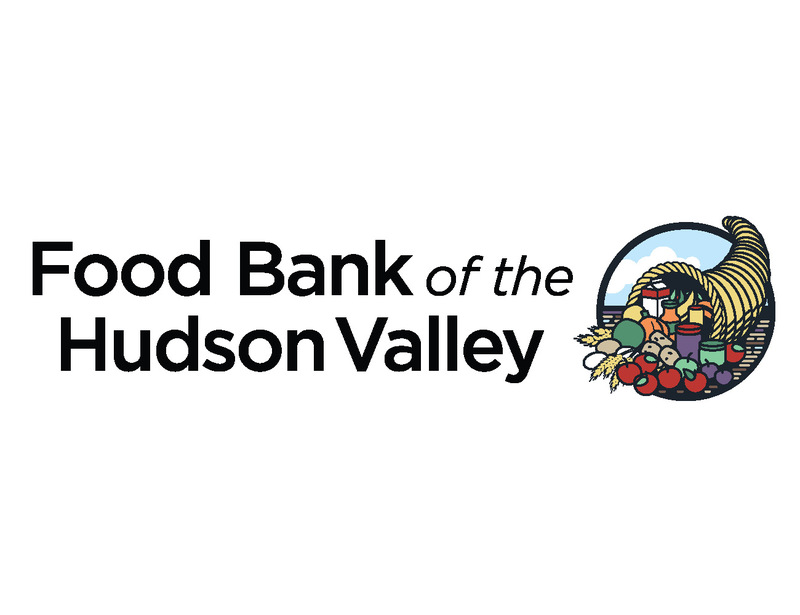 All contributions and the donation forms should be mailed directly to the food banks. 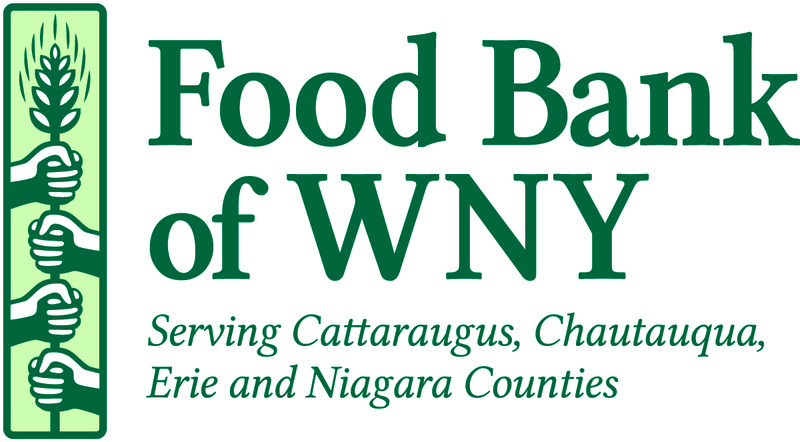 Addresses for the food banks will be on each participation packet. Thanks again and we look forward to working with you this coming March! 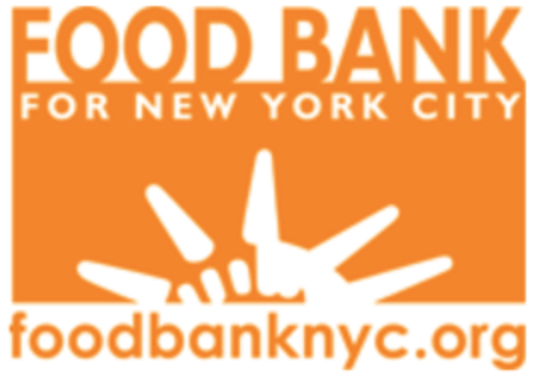 ​ All donations are mailed directly to the food banks from the individuals and families that participate. Ideas to help teachers succeed are listed in our RESOURCES section. at the RESOURCES tab on the top of this page or on by clicking the button below. As Helen Keller said "Alone we can do so little; together we can do so much."